Underground Fitness provides a warm and friendly environment where you will enjoy state-ofthe- art equipment for cardio and resistance training at an affordable price. We are conveniently located at 400 Scruggs Road in Suite 1600, Moneta, Virginia. We can be found in the Plaza Shopping Center, just off of Booker T Washington Hwy. 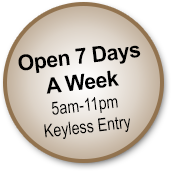 A keyless entry facility, we are accessible to our members from 5am to 11pm, 365 days a year! The staff at Underground Fitness is committed to taking the extra step to be the best at providing a safe, clean and friendly environment. 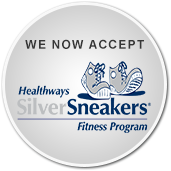 With one-free hour of personal training for every new member, our goal is to give you the maximum benefit and enjoyment out of your membership. We are well equipped with a variety of strength training equipment, including a room designated for free weights and a separate cardio theatre equipped with a wireless sound system. In addition, we also have available full locker rooms for both men and women. We encourage you to come and visit us at Smith Mountain Lake. For more information or to arrange a tour, please call us at (540) 352-8994.